from my window there|s a lighthouse by Lisa Atkinson was commissioned by Sam Detweiler in the fall of 2016 and premiered on February 22, 2017 in the Katzin Concert Hall at Arizona State University. Sonata was written by New York composer Brett Wery in 2016. The three movement work was commissioned by Samuel Detweiler. It combines aspects of pitch class set theory, jazz, Balkan folk melody, and improvisation. 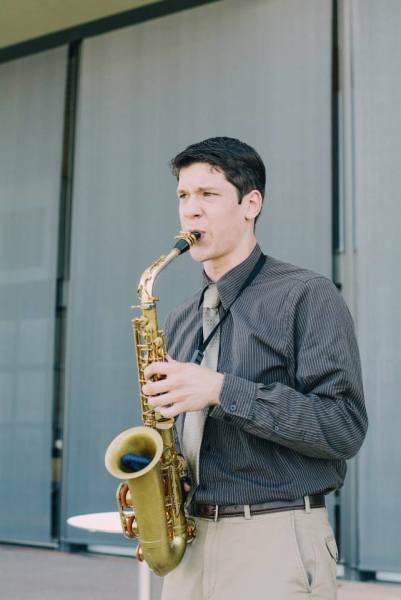 Samuel Detweiler, soprano saxophone Amy Detweiler, piano This recording was engineered and mastered by Clarke Rigsby at Tempest Recording in Tempe, AZ. Impetus, by Grant Jahn, was commissioned by Samuel Detweiler in 2016. The work draws from a minimalist tradition and includes sections where the saxophonist improvises over riffing motifs in the piano.